Look. I get it. I’m not very creative in the painting department, either. If you can’t use a template or there’s not some free printable, I won’t be having anything on my walls. 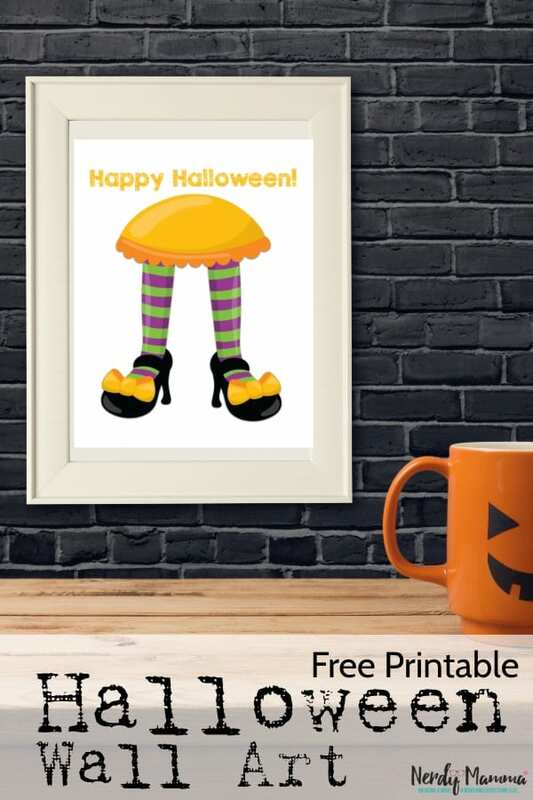 That’s why I came up with these absolutely freaking adorable Witch’s Feet (and leg) Free Printable Halloween Wall Art. 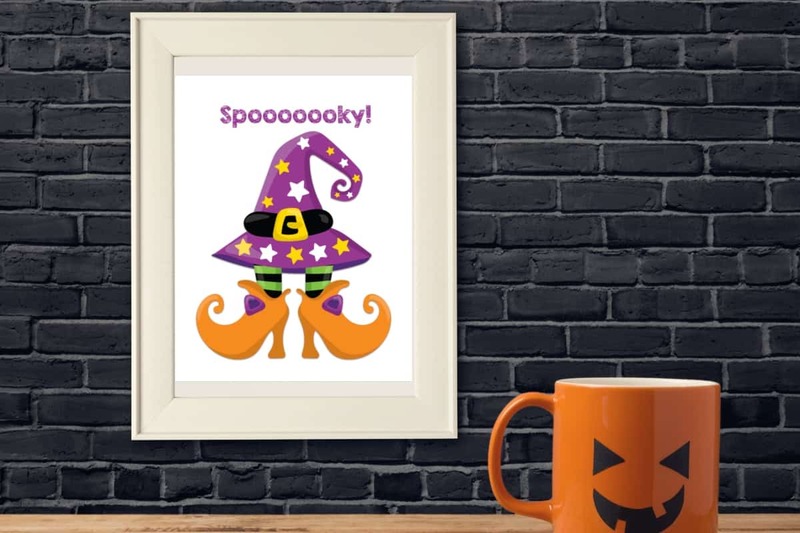 Because who doesn’t need some adorable witch’s feet on their walls for Halloween?! There are three total Witch’s Feet Free Printable Halloween Wall Art pieces. Each one unique from the next. Not sure if you realize this, but each witch is a unique thing. Not that they’re real or anything, but if they were, each one would be it’s own thing–person–witchdom? Not sure what the heck you’d call that…but they’d be their own being. I’m also going with adorable. This year, my kiddos are still too little for overly spooky, and frankly, not everything has to be skulls and bloody cupcakes. But a little whimsy? Sure. I’ll do that any day. And these Witch’s Feet Free Printable Halloween Wall Art pieces? So full of whimsy, you’ll be wiping it off the floors and ceilings for months. Here’s all three Free Printable Halloween Wall Art images, just so you know what you’re getting…you know, if you were curious. 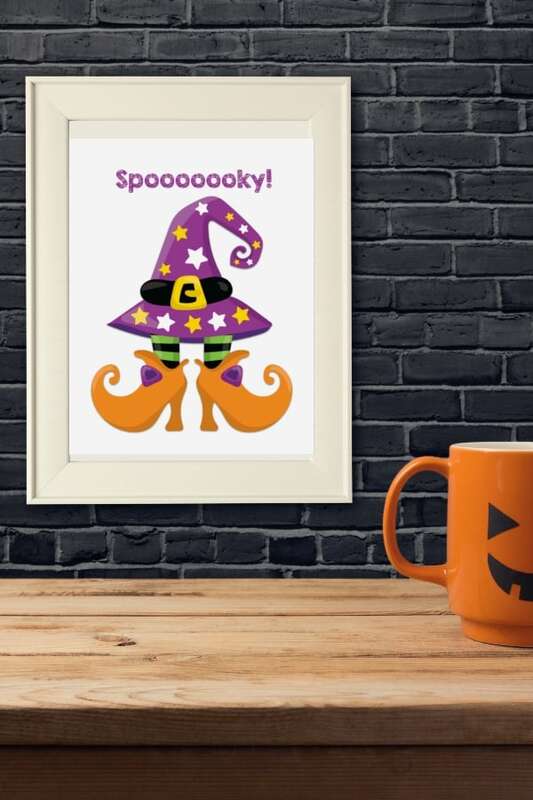 And don’t forget to pin these adorable Witch’s Feet Wall Art pieces–they’re too adorable not to. Ok. Here’s where you actually get your Free Printable Halloween Wall Art. Just sign-up for my newsletter here and confirm your subscription and it’ll be in your inbox in two shakes of a witch’s broom.